An Original Pontoon Factory Since 1956. Our History. Family-owned and operated since 1958, TMC, INC. is one of the oldest pontoon manufacturers in the country. Since the beginning, our goal has been to produce the highest quality pontoon boat possible and deliver it factory-direct for the best price possible. Our customers are important and we treat each of them like we would want to be treated. We’re honest, hard-working people who want you to love your pontoon as much as we love building them. We are frequently asked, “What does TMC stand for in your name?” Many years ago the company was named Tri Machine Company. As we moved further into the pontoon business and away from machining, we started using just TMC and now the name is simply TMC Inc. It all began over 50 years ago when a man named Fran Stauner saw opportunity in the water – a floating platform that was motor powered. He thought it was a great idea and so did many others. Today TMC, INC delivers pontoon boats across the United States and beyond. Fran began selling these pontoon boats from his blacksmith shop. In the beginning Fran sold pontoon in pieces not as a package as they are today. The pontoons, deck and motor were all sold separately. Things have certainly changed over the years! With many options in furniture, accessories, motors, pontoon sizes, trailers, covers and more the business is light years from where it began. TMC, INC is still owned by the Stauner family. Fran’s son Mike is the current president and his grandson, Mitch is following in Fran and Mike’s footsteps. Our 15 Minutes of Fame. 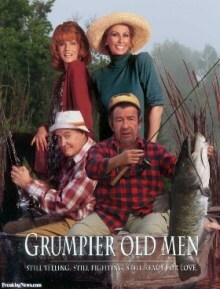 A few years ago Hollywood came to Northwest Wisconsin to film the sequel movie Grumpier Old Men. A company named Sea Studio asked a local Minnesotan where they could find the best pontoon boat in the area, and TMC, INC is the name they received. Two boats were built for the movie plus a third to use in filming. An additional pontoon was used to ferry Jack Lemon and Walter Mathau from place to place. Interestingly, the pontoon we built to use as a filming platform was used in Hollywood for many years after Grumpier Old Men. Our Largest Pontoon Ever Built. 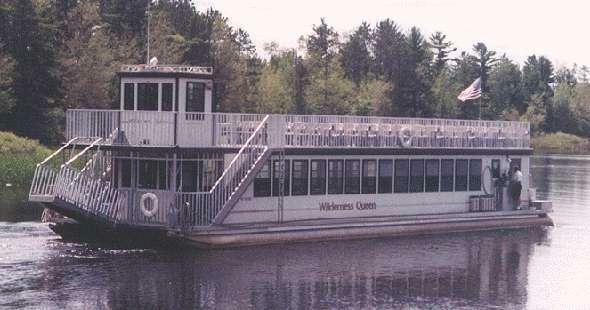 TMC, INC. also built an 88-foot dinner and ferry cruise pontoon. TMC, INC Pontoons Around the World. TMC has made a name for themselves in the boating industry. Our pontoon sales span north to Alaska, south to Colombia South America, east to Europe and west to Oregon. Our Real Claim to Fame. Even though Hollywood has knocked on our door and our boats are spread across the world, our real claim to fame comes from our customer reviews. Factory direct pricing and quality built-pontoons and a winning combination.